I was working on a different job for a client when they mentioned their adirondack chair had been broken and asked me to look at it. It was damaged beyond repair, so I offered to make them a new one based on some templates I had made up a few years back. Since they were having a party coming up a few days later, I got to work immediately. 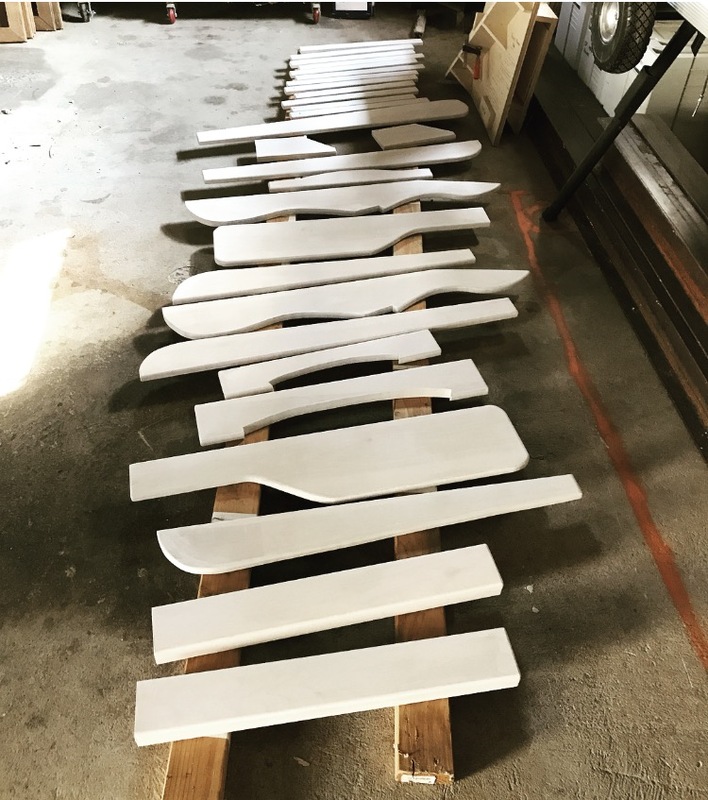 Here the individual parts have been cut out and primed, and are drying in the back of my shop. I assemble the chair in four sections - two arms, one back, and one base - in jigs I made up specifically for that task. Here, the four sections are assembled and painted the final color. I managed to get the chair fully assembled, touched up and delivered the morning of their party. The design of this chair is very inviting and so comfortable, you never want to get up again.